I’m about 3 weeks into my new fitness program and I’m starting to feel good about it. Amazingly, I haven’t skipped a day at all. The motivation for that is simple really. I’m afraid that if I miss a session now, I will completely fall off the wagon. I know, it’s happened before. So I’m quite happy with myself for staying the course. I don’t own a scale and I didn’t measure myself when I started, so the only tools I have to track my progress are how I feel, how I look and how my clothes fit. I feel like I literally bounce out of a chair now and stairs are no problem. I can put on my jeans straight out of the dryer without lying down. Flush from my success, I have been doing some research on what I should add now. The following statement made it very obvious what I should do. Well count me in that category. Jeez, I must have nothing left! I’ve got a lot of catching up to do. A few different exercises with my hand weights seems like a good start. I’m looking forward to boosting my progress and reaping the many benefits of adding weight training. To be able to wear sleeveless tops in the summer. To wave goodbye with your hand and not your arm. To be able to hold something up in place when asked for longer than a minute and not get all wobbly. To not have to struggle to get a top off over your head. To be able to wear a long-sleeved shirt and a jacket without feeling like Maggie Simpson in a snow suit. To be able to go the distance when doing your hair (blow drying, curling/straightening/primping) without having to take a break because your arms are tired. To be able to carry all the items you picked up at the grocery store when you were running in for one thing and didn’t think you needed a basket or a cart. 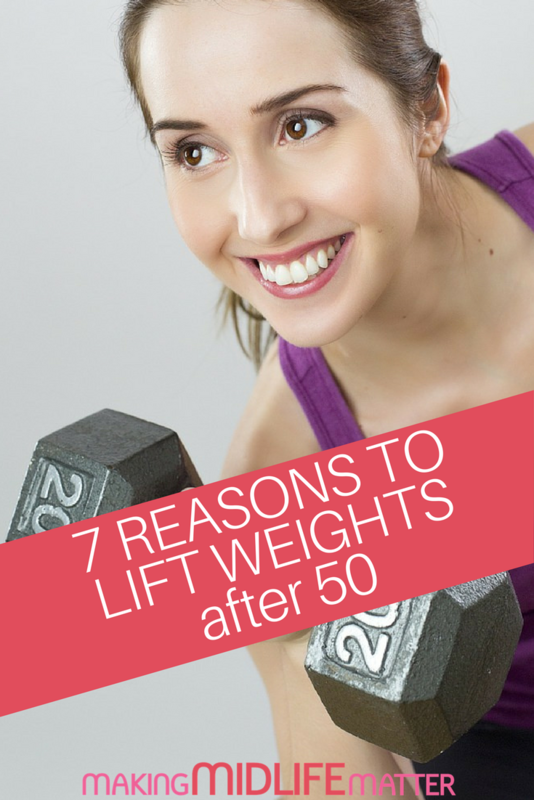 If you want to see the real healthy benefits of lifting weights after 50, you can click here.